First Ever GFAF Marriage Proposal! Now this is exciting news! 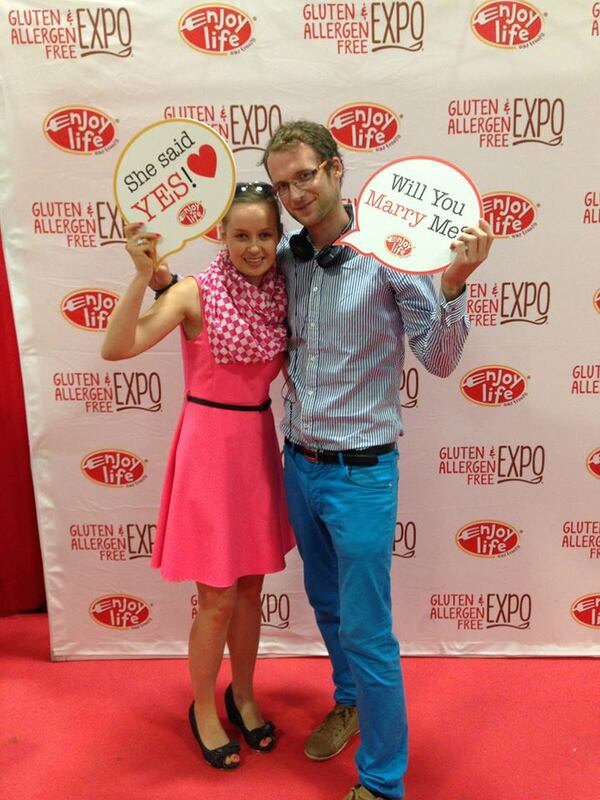 The first ever GFAF Expo marriage proposal took place at the Meadowlands Exposition Center last weekend! 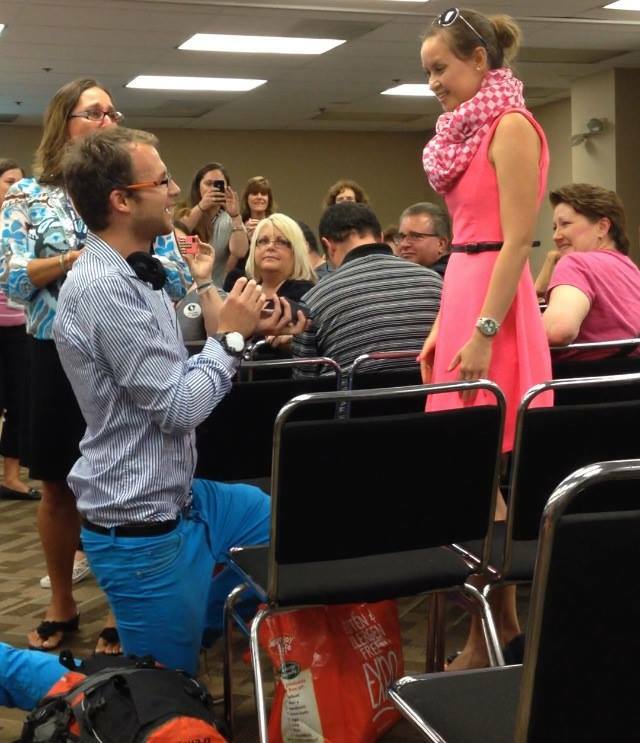 At the end of The Family Chef’s class presentation, George got down on one knee and asked girlfriend Martina to be his wife! The very surprised Martina said yes amidst a room full of applause. 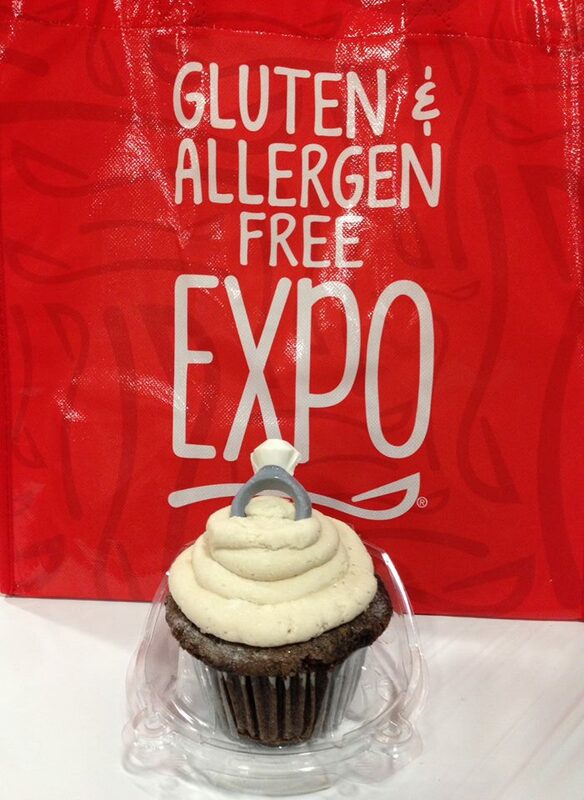 Afterwards, the happy couple made their way to the Enjoy Life photo booth where they posed with personalized speech bubbles that said “Will You Marry Me?” and “She said YES!” Jac’s Bakeshop & Bistro even made an adorable engagement ring cupcake for Martina… gluten free of course! 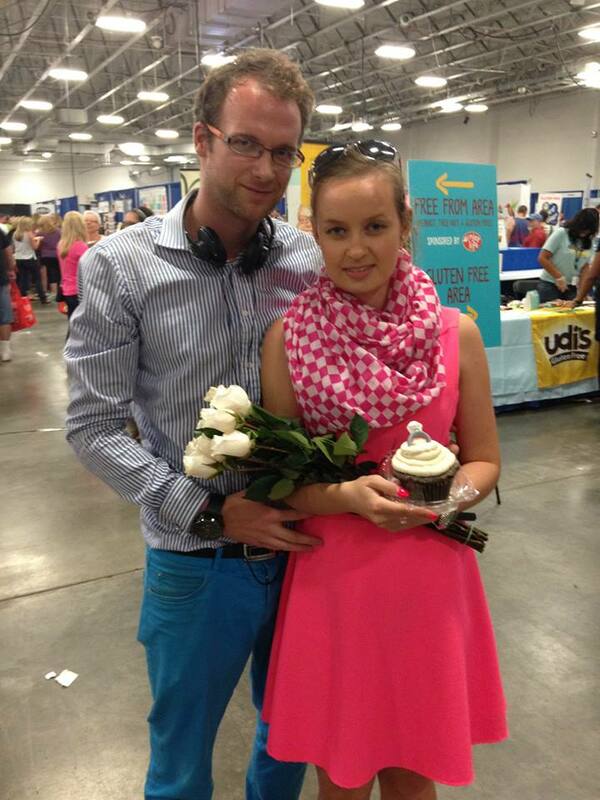 The Secaucus Expo was filled with lots of #GFAFLove. Scroll through pictures below and watch the engagement video to see for yourself. Congrats George and Martina! Next Post Find Me Gluten Free NEW App Features!